I really wanted to stand there forever and ever! 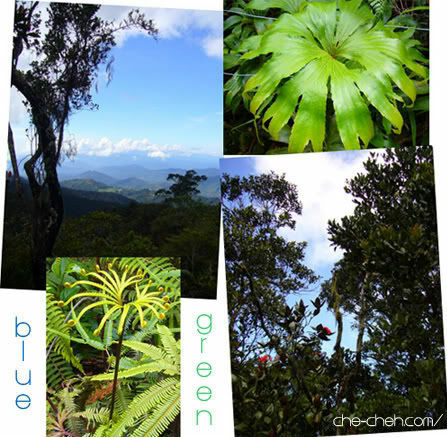 The morning sunny blue sky signified that it would be a wonderful day for climbing. Woot! woot! Look how much food are left on the plates. I guess we have no ‘heart’ to eat. 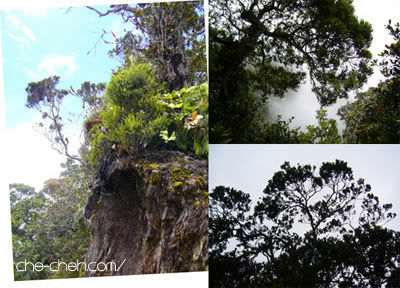 A guide from Kinabalu Park picked us at 7.30am by van. We reached the park 2 minutes later. There was already a huge crowd there which makes me even more excited. We proceed to the park’s HQ (the building we visited yesterday) to sign in our name. We were then each given a name tag (climbing permit) and were informed about the dos and don’ts when we’re in the mountain. For eg. don’t yell, don’t play the fool, don’t pick anything from the mountain like pebbles, rocks, leaves and flowers. Respect the mountain we must! Oh and we’re not bringing our 6~9kg backpacks with us. 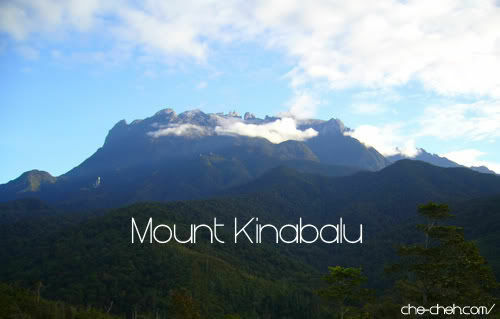 We’re leaving ’em behind at Kinabalu Park HQ. 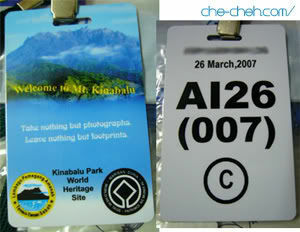 We left our bags at the storage room for the price of RM10 per bag per day. Walking stick cost RM3 (+ refundable deposit RM3). We need walking stick mainly for descending purpose but I find it very useful for ascending as well. Sis and me brought 2 bags with us during the climb. We carried one of the bags while the other one, we passed it to our guide (Mr Bension). He charged us 1kg = RM6.60 per trip. Our bag weighted at 2kg. We ride on the same van to Timpohon Gate which is 15 minutes away. 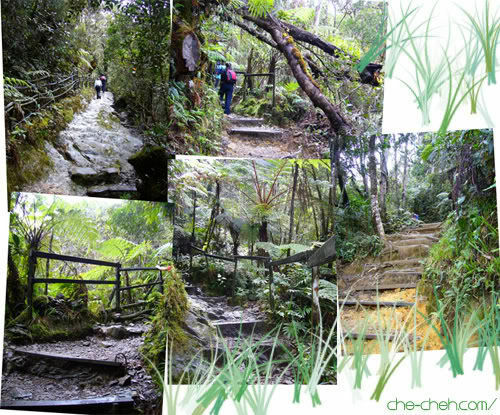 There’s another entrance to the mountain which is more difficult and further away, Mesilau Gate where you need to jungle trek along the Mesilau Trail. An archway welcomed us: ‘Selamat Mendaki’ at the front. Walking further down the pathway brought us to the famous gate known as ‘Pondok Timpohon’ aka Timpohon Gate. Between these 2 gates is a restroom. 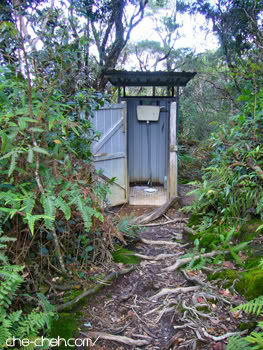 Hehehe toilet is available at each shelter throughout the 7.5km journey but for the final 1.22km… ahem ahem… do it either in the bush or behind large rock! 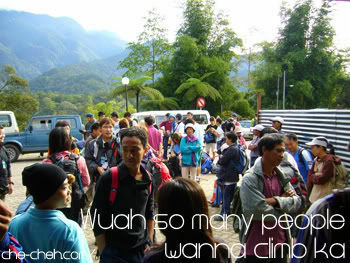 We ‘wave’ our climbing permit at the Timpohon Gate counter before entering the lush beautiful forest. Depart from Timpohon Gate at 8.38am (1866.4m a.s.l). 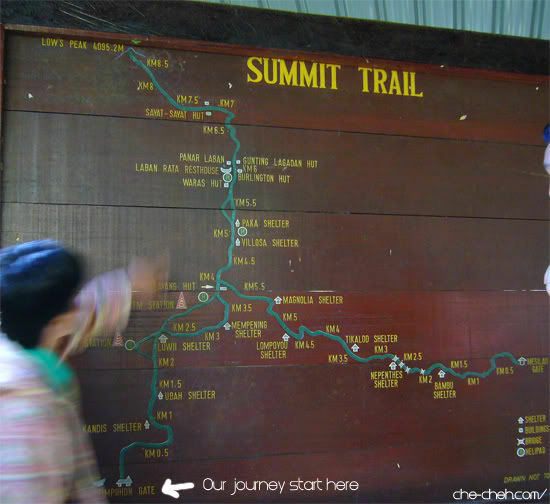 This is the Mount Kinabalu Summit Trail Map. Compare the above with the real picture of the mountain below taken from Rose Cabin. The dotted line is a ‘rough’ trail that I’ve drawn to depict the route to the summit, Low’s Peak. 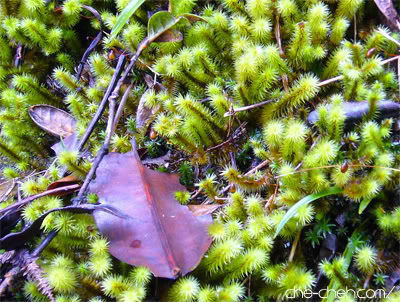 Upon entering the green forest, the first path leads us downhill. Easy la! Carson Fall is the only waterfall we encountered in our entire journey. We were delighted to have reached the first marked interval at 0.5km!! Fyi, summit trail is mark at intervals of 0.5km. 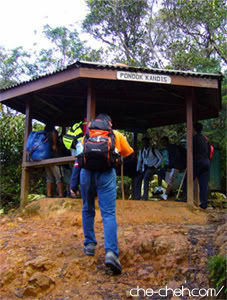 We reached the first ‘pit stop’ called ‘Pondok Kandis’ which is 793m from Timpohon Gate in just 29mins. Fresh ‘untreated’ water is available here and so is the ‘important room’ aka toilet. We passed by the 1km mark after 35mins. Timpohon Gate to 1km: 8.38am-9.13am (2039.4m a.s.l). Another 16mins brought us to our second ‘pit stop’: Pondok Ubah. Our guide advised us not to rest for more than 10mins because by then our legs muscles would have cool down and it would be much more difficult to continue the journey with dead legs! Fyi, all climbing guide will always be the last one to ascend or descend. That way he can assure the safety of his climbers (no one is left behind!). This is how the T.O.I.L.E.T looks like at every shelter. There is plenty of water available for you to flush down whatever you wanna flush. Hahaha! 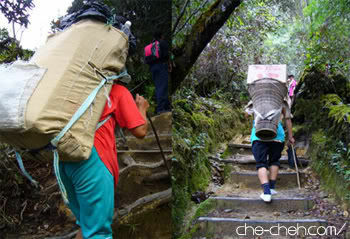 These porters can carry goods (daily supplies-food/drinks, backpacks) of up to 10kg to Laban Rata Resthouse. So strong man! Some of them are women porter. We passed by the 2km mark in 1hour 22mins after departing from Timpohon Gate. Not bad right? Timpohon Gate to 2km: 8.38am-10.00am (2252m a.s.l). 13mins later, we reached our 3rd shelter Pondok Low II. 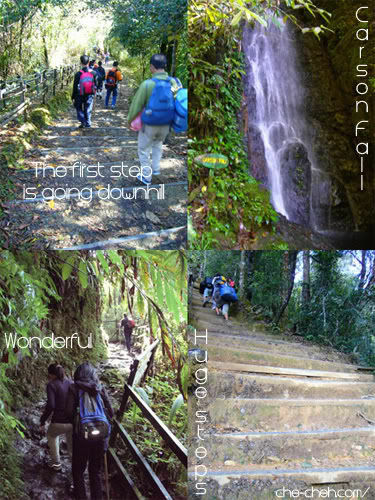 Then it’s off to more steps to climb, more photo-snapping break and more ‘breathing’ break. We reached the 3km mark in 2hours 14mins after departing from Timpohon Gate. We’re still right on our target. Our target was to cover every 1km in 1 hour time. 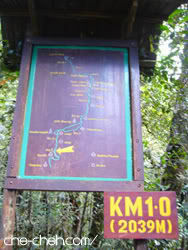 Timpohon Gate to 3km: 8.38am-10.52am (2455m a.s.l). We came across loads of friendly climbers giving us moral support. 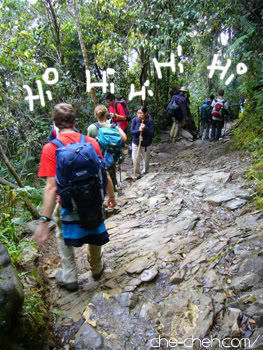 At 12.07pm, we arrived in Layang-Layang Hut. This hut is a quarter for guides and porters to take a break. There are 2 shelters for climbers here unlike any other ‘pit stop’ where there is only one. It was noon and we still haven’t reached the 4km mark! The view from the balcony is cool! You guys look steady. Sounds like not that hard yet. Dreamcatcher, why don’t we take over that place! Hcfoo, hehe so far not bad hor. Tomorrow I promise.